The ongoing decades old debate of the definition of value, and also loyalty, are rendered meaningless and pointless, even irrelevant in te current hurly burly and pace of technological change. Why – because conversely or perversely, price is a component of, rather than a measure of, value in today’s frenetic impulse purchase, immediate pleasure culture. Take Sky. A new customer gets a much better deal, and is likely to therefore become a lower lifetime value customer, all other things being equal, than a current existing customer. Even setting aside this perverse view of value, very commonplace these days, where is the loyalty logic in this? The pace of growth of the voucher sales market has paralysed the supply side’s ability or even desire to understand it, far less counteract it. Customers just love the daily deals concept. Daily deals sites are amassing massive customer databases – scale is king in this market. As/if the marketing costs of these sites do go down, they will recoup these and increase profitability rather than pass savings on to consumers and suppliers. Voucher sites bring with them their own version of market failure as the big brands aggressively price out the small independents, with bigger supply and investment potential to offer. The day these flash/v daily sites create more demand than supply, the more brands are potentially at risk unless they invest/partner in this market. 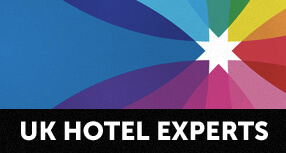 To us as consultants, we are naturally disturbed by this – remember the recession (probably still with us) when the hotel industry caved into pricing pressure and not only slashed prices across the distribution landscape, but in many cases increased incentives and rewards to OTA’s and third parties, thereby squeezing margins even further. How many times have I heard hoteliers say, if we had all been brave and held our rates, we’d have been a lot better off for it. Too late. And lo and behold, along comes the daily deal – just a further extension of this obsession. And elsewhere we have posted that hotels should resist the temptation to cave in to this market, or to be lured into it as a ‘lazy man’s fix. Where is market segmentation. Where is channel management? Because there is no organised supply management association for hotels in the UK, hotels follow each other like sheep in the fear that they may lose out to the competition. Hotels have in fact created the conditions for these price led concepts to prosper, and almost dominate the market. The bad news is if the daily deals go mainstream and become the norm rather than the exception. And as one respected commentator said, the price lever is too easy to pull. Remember this – revenue managers seem to still follow too easily the principle of dropping price to generate more demand. Otherwise it is hard to explain why discounts of more than 30% are launched even in traditional peak periods. Most people seem to forget, especially when revenue plans are at risk, that this eventually would require an additional volume uplift of more than 100% to recoup price loss and maintain profitability, And the higher the discount, the more the volume increase required.